When is it too early to be playing Christmas music? There are a few things in life that are inevitable: death, taxes and endlessly playing Christmas music around this time of year. 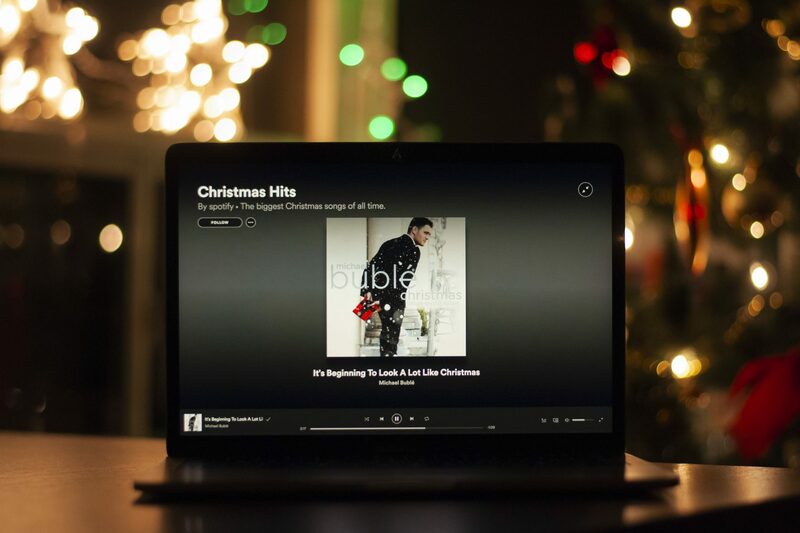 Since the end of Halloween, most people who like Christmas music have dusted off their Apple Music and Spotify playlists and have been blasting Michael Bublé and Mariah Carey non-stop. From Dec. 1 to Dec. 25, it is socially acceptable to play Christmas music to one’s own content. The problem comes when people overplay it, which happens every single year. I don’t know what it is about the holidays that makes people want to excessively hear Mariah Carey sing about how all she wants for Christmas is “you,” but now it’s time to put it to an end. Just to make this clear: this is not a war on Christmas or Michael Bublé. Christmas music, like the voice of Michael Bublé, brings joy and happiness to many people around the world, especially in Canada. It puts us in an excited and festive mood to dance and sing. But playing it 26 million times for a month straight drives everybody crazy. Thus, if we want to keep the spirit alive in Christmas music and not have it butchered with the feeling of never-ending holly jolly suffering, hold off on the “Winter Wonderlands” and “Here comes Santa Clauses” until Dec. 1. And do you know what else drives everyone crazy? Playing Christmas music 52 million times for TWO months straight. So just as a rule, can we not play Christmas music until Dec. 1? It’s not a complete ban on Christmas music, but easing it down considering it’s only played around this time of year. The main reason why people hate Christmas music is because it is overplayed. Just tune into 96.7 CHYM FM in KW and you will be bombarded with various versions of Frosty the Snowman, Last Christmas, Jingle Bells, and dozens of other songs to ring in the festive season. It’s as if people play it excessively to put everyone in a holiday trance. So, if that’s the case, then why are people playing it in November? One other reason I saw on Spotted at Laurier’s account was that it was disrespectful to the troops because people were playing Christmas music right after Halloween but before Remembrance Day. I don’t really get how playing Christmas music is insulting to the military or to the memory of those who sacrificed their lives. But if they are saying that it’s way too early to play Christmas music, they’re right. The feeling of Christmas music should be of warm memories of hanging out with friends and family and not of sickening despair and endless anguish. By playing Christmas music in November, it takes away that special feeling of past Christmas nostalgia and of future Christmas-loving sensations. Also you take away time to listen to other new music that came out in November, like Michael Bublé’s new album Love. The wait will be hard, but in the end it will be worth it as we preserve that special feeling in our hearts this holiday season. And if at all possible, try and mix up your Christmas music just a bit because listening to just Michael Bublé and Mariah Carey for a month straight will get boring real quick.